Dinnington Town FC and Dinnington High School are pleased to announce that they will be holding their sixth annual Summer Football Festival on Saturday 13th and Sunday 14th July 2019. This is a pre-season festival and teams can enter based on their age group for the 2019/20 season. The festival will take place at Dinnington High School, Doe Quarry Lane, Dinnington, S25 2NZ. Each age group will be playing in their age appropriate league format, as listed below. A maximum of 10 teams will be in each age group and those will be split into two groups by the organisers. Each group will play a set of round robin matches to determine a position within that group, with 3 points for a win, 1 point for a draw. Then each group will play off against the opposing group in their corresponding positions, with the two top teams playing in the finale match. All matches will be 20 minutes in duration. Dinnington Football Festival, c/o Katie Curtis, 52 Gleneagles Road, Dinnington, Sheffield S25 2TD. Payment must be paid with the application, otherwise your application may be refused and priority will be given to those teams who have offered payment. Payment must be made as above before the day of the festival. Organisers will acknowledge the application and confirm registration, a receipt can be provided for payment on request. In the event of a cancellation, organisers reserve the right not to refund any payments made in the event that the place is not re-filled. With this being a football festival rather than a tournament there is no strict restriction on the number of players per team – it is for the individual team manager to manage the players at their own discretion. In the mini-soccer format a club may enter more than one team. With this being a preseason festival, players do not have to be registered with the team they are representing, however the organisers will request a register of players names to cover any insurance requirements and proof of attendance. 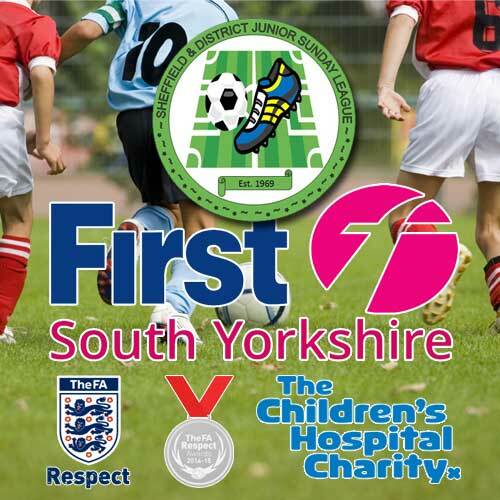 All players in the mini-soccer age groups will be provided with a medal. For the 9v9 and 11v11 age groups a trophy will be awarded to the winners of the age group finale match. If the mini-soccer mangers can assist with squad/player numbers then we can ensure no child is left without. Car parking will be on the school grounds and will be directed in by club volunteers from Doe Quarry Lane. Parking will be charged at £3 per car, which includes a programme and more programmes will be available for purchase at £1 each. The rules of the competition and playing order will be in the festival programme which will be available on the day. The school will be providing the referees for a predominant number of the games, this is an important feature of the festival that we allow these young adults to have this responsibility in both officiating games but to be part of the organisation and running. In addition to the football, the club are planning to have a tuck shop, burger van, bouncy castle, ice cream van, football shoot out competition, community stalls and the conclusion of the club summer raffle. Any profits raised on the day will be shared between the junior football club and the school. The funds raised for the club will go towards a chosen development project or equipment provision, this will be agreed by the development committee. The school will put their funds towards the next PE department school tour, they are planning to visit South Africa in the summer of 2020. Please contact Katie Curtis for any further information or to ask any questions. Contact can be made preferably by e-mail to s.curtiss@btinternet.com or mobile: 07970426605.